Benartex A Festive Season II Snow Fall Swirl 2655M12B. Snowflakes fall and metallic scrolls swirl on black background. 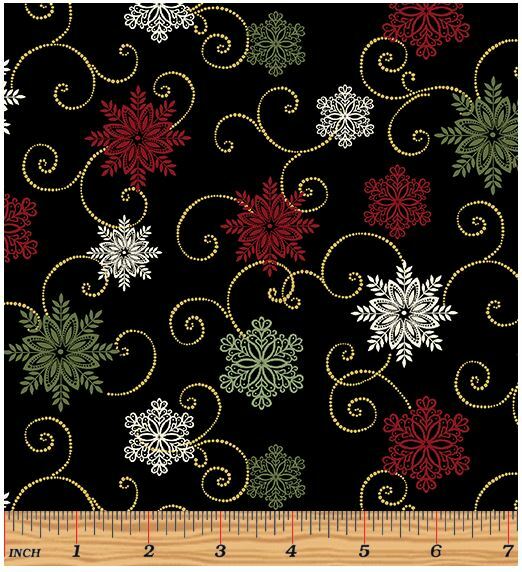 Enhance the magic of Christmas by decorating a quilt with these elegant snowflakes, metallic accents and golden scrolls! 44/45 inch. 100% premium cotton.